My granite is being installed tomorrow. 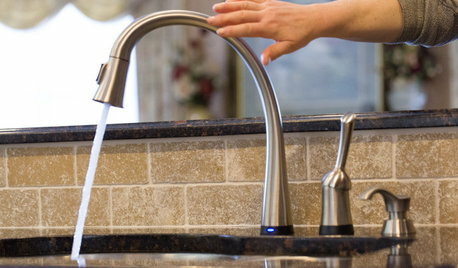 I had purchased one faucet, but I don't love it and have been thinking of returning it. 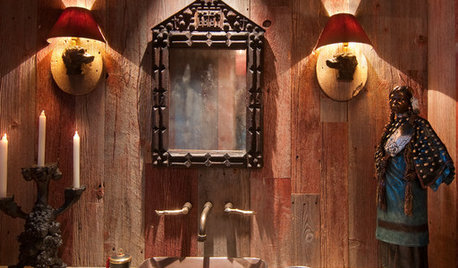 I went to pick up the faucet for the second sink and like it even less. So when the granite guys come, I won't have a faucet. I googled it, and several sources say that 1 3/8" is the universal standard for the hole. But then every Moen faucet I look at says it's designed for a 1 1/2" hole. But on the generic FAQ page, it says their faucets are designed for the "standard" (but don't say what that is, in their opinion). Delta says their faucets fit 1 3/8" +/- 1/4". Should I get them to do a 1 1/2" hole, since that fits every Moen faucet that specifies such a thing, and would fit the Delta specs? Are they likely to only have a 1 3/8" saw because that truly is a standard? They can come back to drill the hole if you're really worried. Or drill the smaller hole. You can always make it larger. 1-3/8" is standard, my guess would be the Moen would fit. You can always drill it out larger if not, but better to be safe. Actually, it is not very easy to drill a hole larger once it has been drilled. Much better to drill the right size the first time. Its the opposite ; much easier to drill a hole larger than to make it smaller. 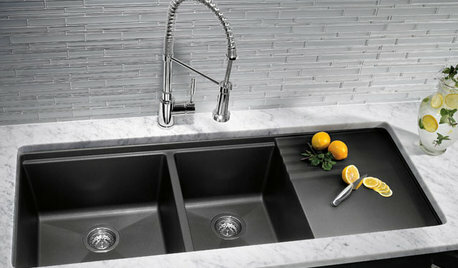 Why not wait until the faucet arrives and measure the width of the stem that goes through the granite? Keep in mind the escutcheon plate to be sure it covers any gap. The smaller the hole the better the plate will fit. I'd unapologetically bill for a $300.00 trip charge if a customer of mine didn't have the faucet on site and I had to come back. You can be as indecisive as you please, just so you pay for it. I'd drill for 1 3/8"; it is the standard. It's not a big deal to drill larger. I drill lots of faucet holes and don't even own an 1 1/2" bit. You could call Moen's customer service and ask them about their faucet hole size. Why are you married to a Moen faucet? 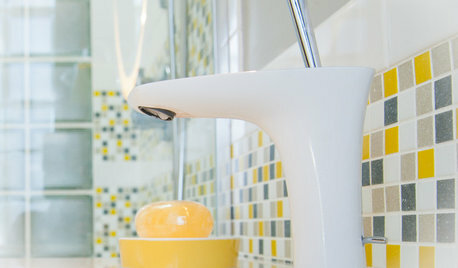 You can pick a different brand than Moen, and just cross this concern off your list. 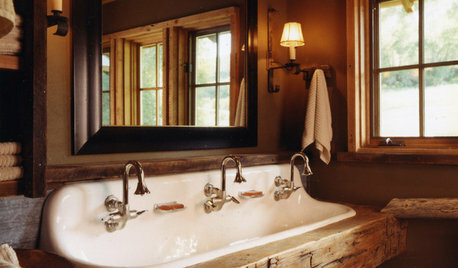 By Change Your Bathroom, Inc.
FARMHOUSESWhich Faucet Goes With a Farmhouse Sink? It beats out quartz composite for strength and scratch resistance. 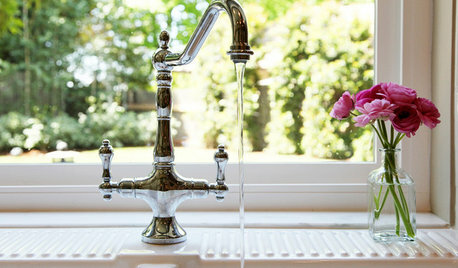 Could this kitchen sink material be right for you? 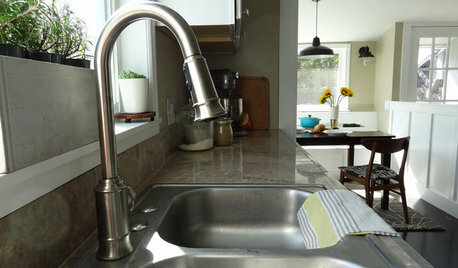 Kitchen faucet: Drilling an extra hole "just in case"? How many holes by the kitchen faucets ? Widespread or Single hole Faucet? 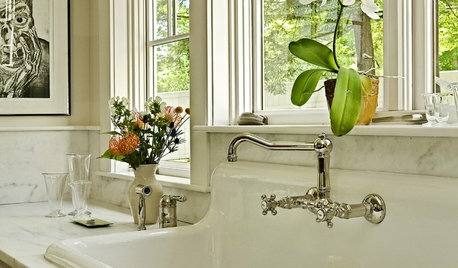 Do you like your Viscont White granite counters? 10 year old thermador downdraft vent--repair or replace?